Hello and a warm welcome to Breath of Change. 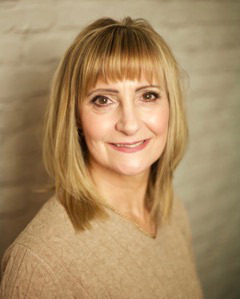 Run by Psychotherapeutic Counsellor and Hypnotherapist Belinda Dimmock (Ad Dip PC MNCS Dip Hyp CS NHS), she helps people are all ages living in Epsom and Ewell who might be struggling with stress, anxiety, depression, grief and many other issues. Many people see Belinda for all sorts of reasons; it might be that you are struggling with overwhelming emotions and are not sure why, or that you wish to explore a specific problem that is upsetting you. Her sessions provide an opportunity to make sense of experiences within your life, explore thoughts and feelings and deal with problems in a supportive, non-judgemental and safe environment. She can uncover what troubles you or holds you back and will help you reach a new understanding of yourself and the world around you, so you can move forwards with life and feel empowered, happier and more balanced and feel happier, more balance and empowered within. Belinda draws on 40 years of work experience and disciplines ranging from becoming a fitness trainer, through to working for the NHS. The therapeutic relationship Belinda builds with her clients is one based on trust, openness and respect. She is approachable and caring and will always make you feel listened to and heard. She provides a safe and compassionate space to focus on you, your distress or dilemma. The space provided is both warm and welcoming, and a safe place for you to gain understanding as you focus on your distress or dilemma. Belinda uses an integrative approach in her counselling work, tapping into a number of models and theories. Separately, Belinda can use, including Hypnotherapy, Emotional Freedom Technique and Emotrance. Every client is unique and she will use the best methods for them. At times life can feel confusing or extremely difficult. We can all struggle with emotions or behaviours and we all have the potential for change. People seek counselling for a wide variety of reasons; sometimes in order to deal with a specific problem or set of issues, to cope with crisis moments or to improve relationships with others. She offers a safe and confidential place to talk about your feelings and to start making positive changes to get the most out of your life, your relationships and so you can make better sense of life. Belinda offers both face-to-face and telephone or skype counselling sessions. The process starts with a free initial phone call and from then there would be an agreement to meet for an initial consultation. Each counselling session lasts 50 minutes. If you have never had a session of hypnotherapy, the idea might feel daunting. However, there is absolutely nothing to fear. Hypnosis is a natural state of mind where your sub conscious mind is in a relaxed state to create change, so we can create change. There is a wealth of scientific evidence that hypnotherapy is particularly effective in treating anxiety, chronic pain and confidence issues. It can also help you with sleep disturbances and insomnia, panic attacks and phobias, relaxation, weight loss or other eating issues and breaking unwanted habits. The sessions induce confidence and calmness and positivity about the future. For stress counselling, bereavement counselling or anxiety counselling in Epson and Ewell, contact our qualified counsellor. To learn more about how we could help you, please call 020 8873 2843 or 07973 410 375 or jot your details into an online enquiry form and we’ll get back to you.